Fancy an Authentic London Taxi Cab in your garage? The great city of London has been around for a few hundred years already, where it has played host to plenty of interesting events in the past. There are also plenty of iconic sights to check out, including the Tower Bridge, the Westminster Abbey as well as Buckingham Palace. Apart from that, there are those red double decker buses that ferry people around, in addition to a private and far more expensive option – the public taxi. 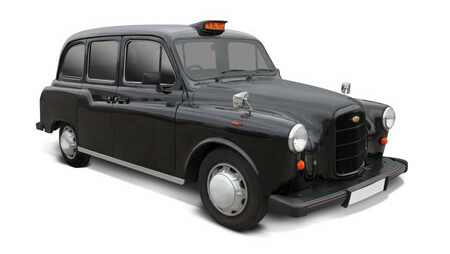 If your private bank account is feeling a little heavy at the moment and your garage is rather empty, then the $40,000 Authentic London Taxi Cab would be the perfect addition to your home. In fact, the Authentic London Taxi Cab is a real Hackney carriage which actually plied the streets of London for more than 25 years ago. If you were to drop by London today, it would remain an iconic fixture along the Strand, where the country’s first nation’s first taxi cab stand was established all the way back in 1636. This particular version happens to be a fully restored and overhauled Fairway that dates back from the 1980s. It was specially designed with a high degree of English sensibility, where you would end up with with plenty of room to carry out a decent business meeting right in the back of the ride. A 2.7-liter Nissan diesel engine is underneath the hood, where it is mated to a three-speed automatic transmission, power steering, and power brakes.